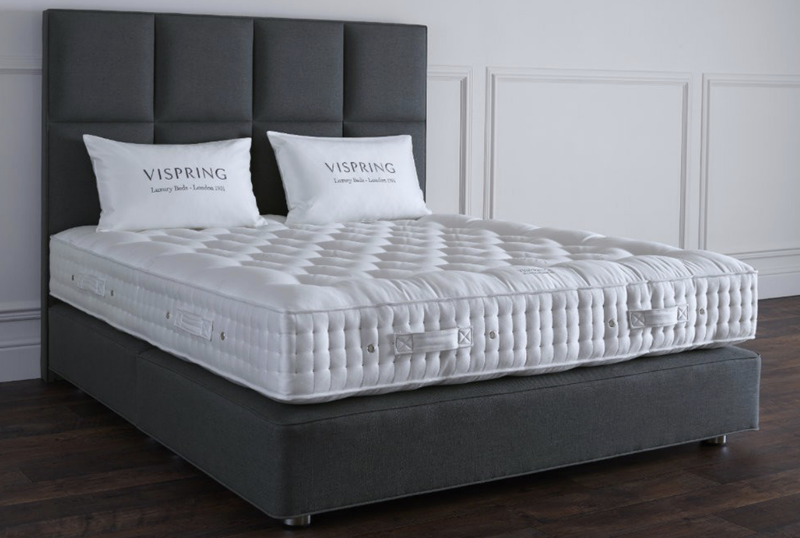 The Vispring Regal Superb is a sumptuously comfortable bed for couples that are seeking a high-end mattress at a competitive price. With its penchant for providing a supportive and restful sleep for as long as thirty years, this is an investment the body and mind will absolutely appreciate. All Vispring mattresses including the Regal Superb are made by hand with a custom coil gauge, and the Vispring Regal Superb has the distinction of being the first to feature horsetail in its comfort layers. Besides the horsetail hair, the Vispring Regal Superb also boasts other natural materials like Shetland wool and bonded Platinum Certified British fleece wool and cotton. With the horsehair, the mattress remains breathable. The Shetland wool provides a super soft composition while regulating temperature to stay cool. Finally, the bonded Platinum Certified British fleece wool and cotton layer create a comfortable fusion of durability and softness. A major feature of the Vispring Regal Superb is its custom coil system which is tailored specifically to your unique body type and sleep preferences. These coils are arranged in a honeycomb pattern to create minimal gaps for greater consistency and comfort. The best way to describe the sleep experience of the Vispring Signatory bed is by highlighting the hand-selected materials found inside the meticulously handcrafted mattress: cashmere, Shetland Isle wool, and hand-teased long-stranded horsehair. Collectively, these materials make the Signatory one of the most comfortable and genuinely restful beds money can buy. The bed includes a dual-layered vanadium wire innerspring support system comprised of springs that are a mere 1.97 inches in diameter, which means the larger number of individual springs results in better body support and comfort. In keeping with Vispring’s focus on handmade beds, the 9.1-inch deep border is reinforced with 4 rows of hand-stitching on each side. Each side of the Signatory features air vents so air circulates and the body remains cool on warm days. These handmade borders are upholstered with all-natural coir and wool and they also feature piped ticking for even more sumptuous softness. 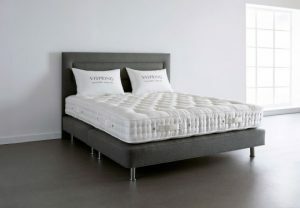 The Signatory has the honor of being the first Vispring luxury bed to include a full layer of premium cashmere. This material was once used solely by noble royalty, but today the cashmere adds a dash of elegant softness that simply isn’t found in other luxury beds. 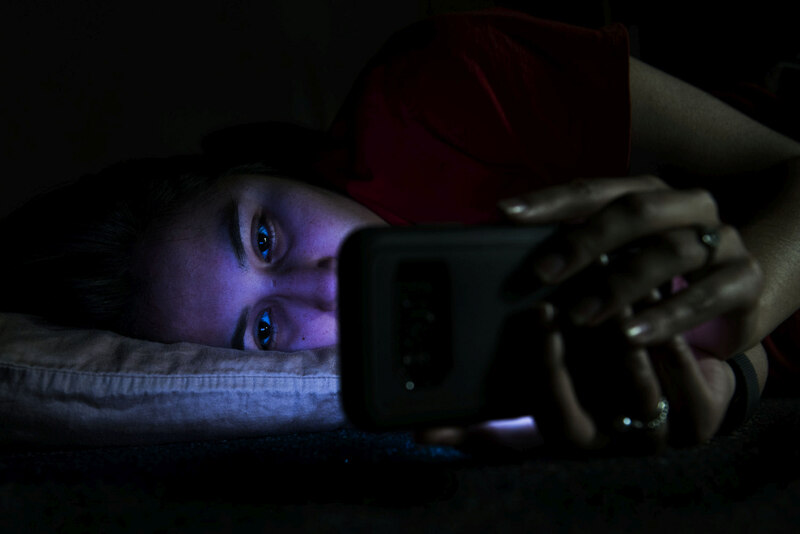 A quick Google search reveals an avalanche of information and data detailing how detrimental sleep deprivation and sleep disorders like insomnia are to the body. In case you need more evidence of what poor sleep can do, continue reading. A study involving mice showed that poor sleep may go as far as increasing the risk of developing clogged arteries, resulting in a possible stroke or heart attack. The study used mice that were genetically prone to plaque build up in the arteries. The mice were woken up every so often to have their sleep disrupted. 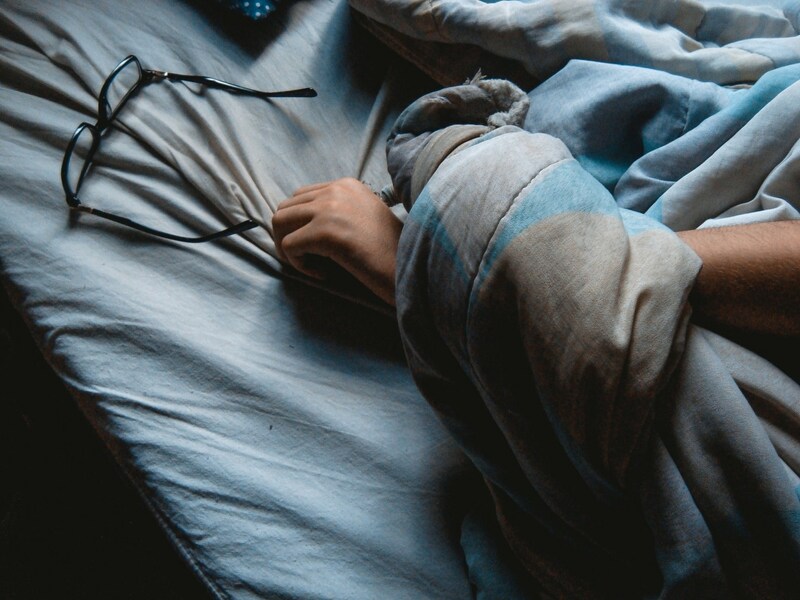 Compared to the mice that slept soundly the entire time, the sleep-deprived mice showed greater amounts of plaque in the arteries and excess in immune cells. While the results are limited to mice at this point, it may signal yet another reason why it is so essential for humans to get enough hours of sleep each night. Furthermore, it also serves as a reminder of why it’s just as important to reduce the amount of tossing and turning which disrupts the sleep cycle. 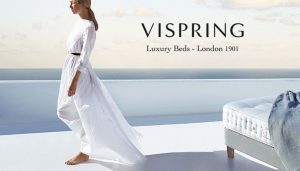 With a Vispring or Hastens mattress, these handmade beds will accommodate to virtually any sleep position you prefer. To read more about the study, please visit https://www.sciencemag.org/news/2019/02/poor-sleep-could-clog-your-arteries-mouse-study-shows-how-might-happen. 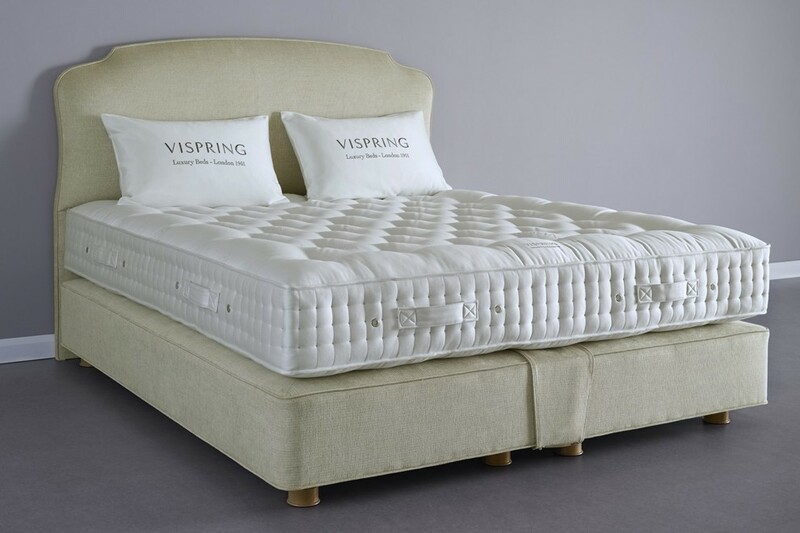 The elegant Vispring Devonshire mattress is indulgently intimate and supple, made with pure natural fillings to practically guarantee optimum comfort and luxury that will last you for decades. Its Platinum Certified Devonshire fleece wool and Platinum Certified British fleece wool collectively create layers over calico pocket springs nested by hand, resulting in incredible support and softness. As is the case with all Vispring mattresses, the Devonshire is wrapped in the finest Vispring ticking (Ticking 596 in stock). Furthermore, the upholstered borders also feature protective wool as well as a pair of rows of hand side-stitching and air vents on each side for maximum breathability. You won’t find any foams or synthetic materials of any sort when you sleep on the Vispring Devonshire or any Vispring mattress for that matter. Only natural materials are used to create a blissfully restful sleep on this mattress which remains the only model comprised of wool filling without cotton layers or other fibers. When the body needs to recover from a workout or intensive training, there is no greater method than getting a good night’s sleep. It is during the sleep cycle that the body repairs any damage that may have been done, including tissue repair thanks to hormones like testosterone. As a result, sleep deprivation will not allow the body to recover effectively, and there is no other way to make it up. 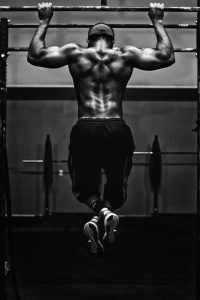 One study showed that young men who slept only five hours a night saw a drop of up to fifteen percent in their levels of testosterone. 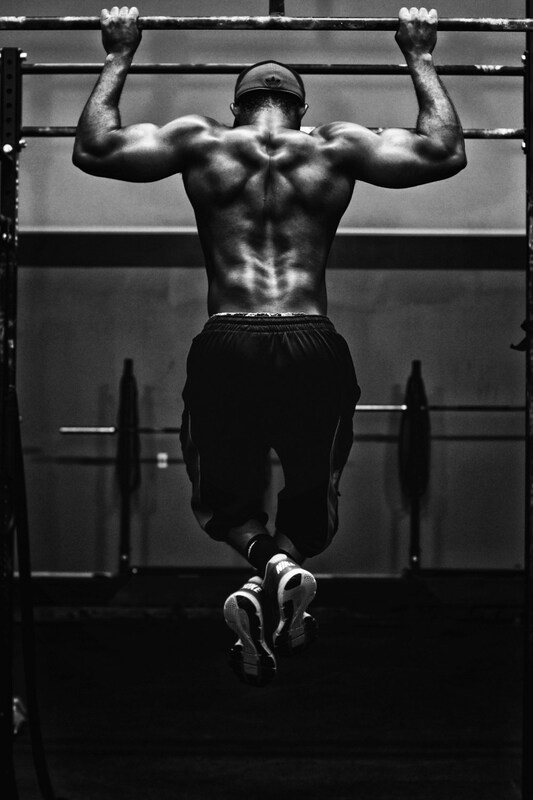 Additionally, it’s been shown time and time again that a lack of proper sleep will affect athletic performance, potentially tripling a person’s ability to react. With many sports relying on precise timing to achieve victory, this can be critical. It’s also worth remembering that sleep deprivation affects the immune system, making a person more susceptible to illnesses and injuries. Again, if you’re part of a team that depends on you, you don’t want anything hindering performance. Athletes and those with an active lifestyle may find mattresses by Vispring and Hastens to be a tremendous benefit in getting enough sleep every night. Besides helping you fall asleep, these beds will also help you wake up feeling genuinely relaxed and revitalized. The Vispring Regent mattress provides a wonderful sensation of luxury that is simply unparalleled among single spring layer mattresses. Its exquisite upholstery delivers a bewitchingly soft, almost weightless feel, while the unique properties of its high-end fillings such as genuine Mulberry silk keep you wonderfully cool as you drift off into a peaceful slumber. The Regent is an immaculate fusion of comfort and optimum support. Some of the technology behind the Vispring Regent includes its hand-nested calico pocket spring construction and over 1,900 springs in size 182×200. The all natural fillings include platinum-certiﬁed British ﬂeece wool, hand-teased horsehair and real Shetland wool blended with silk and mohair, to name a few. The Regent includes hand-tied woolen tufts and twine, a trio of rows of hand side-stitching. The Vispring Regent is available in several different sizes including Cal King, Eastern King, and Double King. Would You Pay to Sleep Better? If the perfect night’s sleep meant paying money, would you do it? 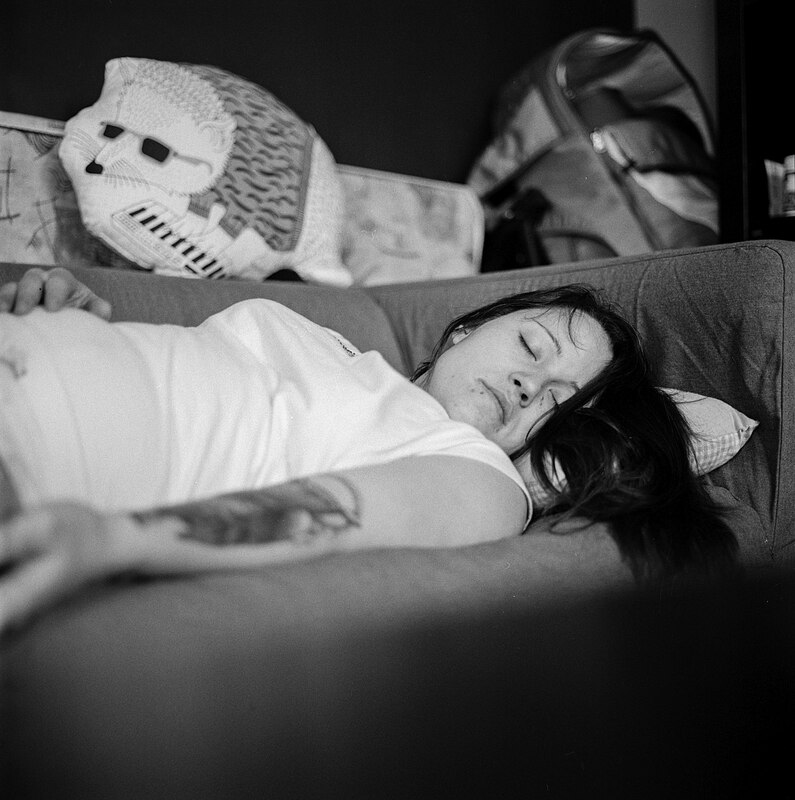 With more than 50 million adults in the United States alone suffering from sleep disorders such as insomnia, you may be surprised to learn that a large chunk of Americans would give money to sleep better. A survey commissioned by a well-known mattress chain with over 2,500 participants found that over thirty percent of them sleep a mere six hours and seventeen minutes each night. What’s more, most of them experienced more than ninety nights of “terrible” sleep. Considering there are 365 days in a year, that’s quite the alarming number. Other notable tidbits revealed in the survey showed that the position of sleep also contributed to sleep quality. While nearly forty percent of respondents agreed that sleeping on the side was a popular position, those that slept on their back slept better. Among the many qualities of a Hastens or Vispring mattress is you can look forward to a better night’s sleep in virtually any position you may prefer. Come to Brickell Mattress to learn more about these widely acclaimed mattresses and you’ll soon be experiencing an incredible night’s sleep. To read more about the study, please visit https://www.studyfinds.org/americans-cant-sleep-well-and-would-pay-dearly-for-a-perfect-nights-sleep-study-finds/. For those of you that live in South Florida and commute to work every day, a large chunk of your time is spent sitting in traffic and dealing with aggressive or distracted drivers. It is imperative to remain vigilant and drive defensively to avoid becoming a victim of a car crash. If you aren’t getting enough sleep, however, you’re only making things worse and riskier for yourself. A recent SLEEP study reveals some news that isn’t all that surprising. People sleeping fewer than seven hours within a 24-hour period showed greater odds of being involved in as well as causing car crashes. The odds become even greater among individuals that have slept fewer than four hours. The general consensus seems to be that a person should sleep at least seven hours a night and as much as nine hours, but few people get this much sleep realistically. 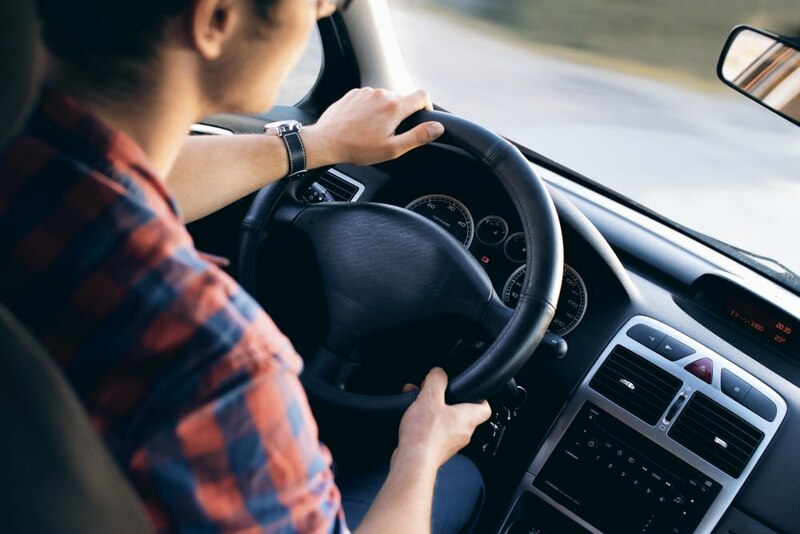 While we all know that driving drowsy has its major risks, this study sheds some fascinating light on how the number of hours slept correlates with the odds of being involved in or causing a crash. Could your mattress be playing a role in delaying your efforts to fall asleep? With Hästens or Vispring mattresses, there is practically no tossing and turning. These beds are handmade and have proven time and time again how they make people fall asleep in just a few minutes and keep them asleep. If you live in South Florida and want to add some extra hours to your sleep, we can help you find the right mattress at Brickell Mattress. To read more about the study, visit https://www.sciencedaily.com/releases/2018/09/180918082041.htm. How much value do you place on getting a good night’s sleep? Enough to spend about $80,000 on one? 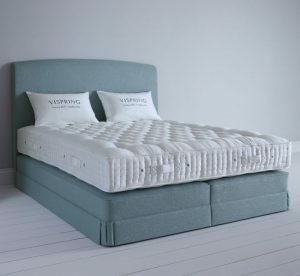 If you have the money and want what may perhaps be the ultimate luxury sleep experience, Vispring has a mattress for you. Dubbed the Vispring Diamond Majesty, the mattress is currently on display in Devon, England until Labor Day after originally making its debut in Milan back in April. The Vispring Diamond Majesty has been constructed using the finest expertise in mattress making, utilizing natural materials and rare fibers to create what may just be the ultimate sleep experience. The mattress is hypoallergenic, incredibly soft, and it also features insulating properties so that the person(s) sleeping on it remain comfortable no matter what season it is. The bed is currently making its way around stores throughout the world, so you may eventually be able to catch a glimpse of it or see it in person. We have Vispring mattresses for you to try at the Brickell Mattress store. These are some of the most comfortable beds you will ever sleep on in your life and we welcome you to discover why they are unlike anything you’ve likely ever slept on.